Last week with First Stop Portland, I had the pleasure of hosting a group of urban and regional planners from the municipality of Upplands Väsby, Sweden. They travelled to Portland to learn more about our best practices in building neighborhood greenways and bikeways as well as exploring how Portland has transformed social, economic, and ecologic strategies through an urban design framework. We started our morning touring the North American headquarters for Airbnb, one of the more recent additions to Portland’s "Flat White Economy-- that creative, internet-driven new wing of the economy." Airbnb recently expanded to Portland from the Bay Area and now occupies three floors of the historic Blagen Building in Old Town with over 200 employees. 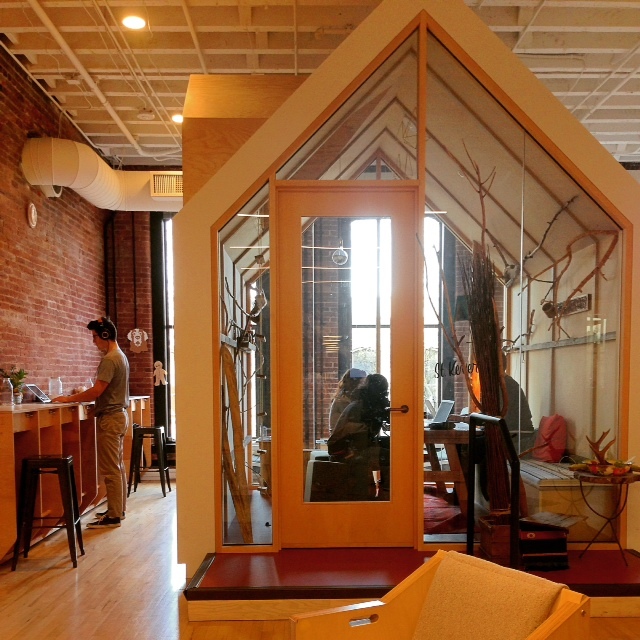 Their creative, open floor plan incorporates actual replicas of Airbnb listings throughout their offices. We spent the latter half of the day on a bike tour led by First Stop alum, Derek Abe, as well as Greg Raisman and Peter Koonce from the Portland Bureau of Transportation. The Swedes were particularly interested in how Portland has disincentivized driving by building effective bikeways. As we toured our bikes through some of Portland’s most pleasant greenways, I was reminded of the efforts of both the urban and environmental planners that led to this beautiful, livable city. Tillikum crossing, was of course, a highlight of the excursion. I was inspired when Johannes Wikman, Director of Communications for the Municipality of Upplands Väsby, proposed that Portland consider “giving the new bridge to our citizens,” before we invite the diginitaries and officials to cross. His suggestion was a good reminder that despite being a leader in sustainable urban development, bike use, and transit, Portland can still learn a thing or two from one of the most progressive nations in the world.